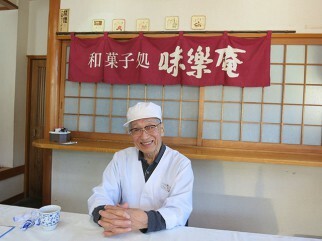 Mr. Murofushi, who underwent a glorious transformation from railwayman to to artisan Japanese sweet-maker. A chopping board, spatula and damp dishcloth are prepared on the table. 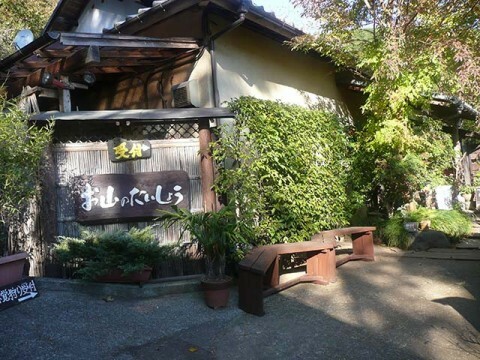 The sweet-maker “Japanese Confectionery Mirakuan”, famous for their “Mikan Monaka” sweets, offers visitors the chance to experience making wagashi, traditional Japanese sweets. The company founder and chairman Noboru Murofushi came to greet me (photo 1). In his smart, cool white confectioner’s apron, he looks like a typical wagashi artisan. 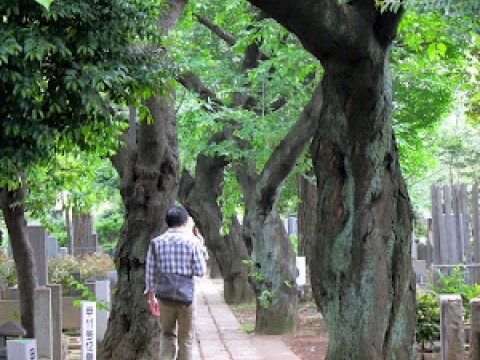 Mr. Murofushi was born in 1921 in the town of Yugawara, and entered the Ministry of Railways after graduating from the electric engineering course of railway training school, normal division. In 1942, he enlisted in the former Imperial Japanese Army and experienced the Second World War. When the war ended, he returned to work at the Ministry of Railways, but retired in 1947 to take his first steps on the path of the confectionary business. Thus, Mr. Murofushi underwent a transformation from a railwayman to an artisan wagashi maker. As he began making sweets, he graduated from the Ecole de Pâtisserie de Tokyo and established this shop, “Japanese Confectionery Mirakuan”. The shop is currently celebrating more than 60 years since its opening, and the second-generation company president is continuing the business. 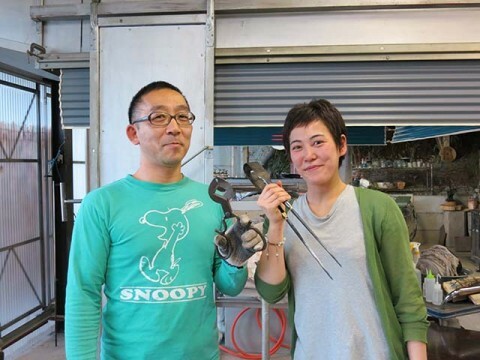 Before starting the hands-on wagashi making, Mr. Murofushi spoke the following words. It seems that Mr. Murofushi has conducted a prayer in this way each time since the hands-on wagashi making was resumed after the 2011 earthquake. He has said that although he wants to do something extra for the victims in addition to making financial donations, the circumstances and environment have made it difficult; so, the least he can do is to continue praying for them. It doesn’t look like the one made by the expert Mr. Murofushi, but I feel fondness for my own creation. The shape of the “Mikan Monaka” is cute, like a tangerine cut in half. So, the wagashi making finally begins. This time, the participants will make nerikiri, seasonally themed decorative cakes made from sweet bean paste, with the designs of “camellia” and “Japanese maple”. The theme of the designs changes each month. Laid on the table are a small chopping board, a damp dishcloth, and a bamboo spatula. First, pink bean paste, azuki bean paste and white bean paste are distributed. The pink bean paste is made by steaming and straining white kidney beans, mixing kneaded gyuhi (a paste made from soft glutinous rice flour), and adding red food coloring. 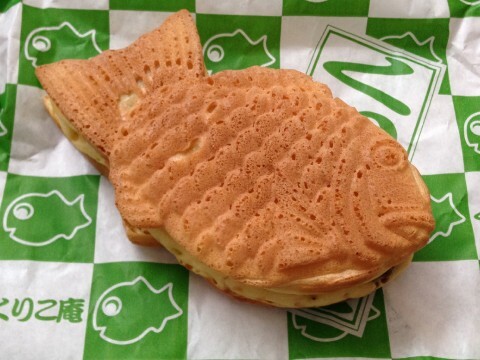 The azuki bean paste is made using azuki beans from Tokachi in Hokkaido. We start by shaping the pink bean paste into a ball. This is rather like playing with modeling clay, but the paste is not as hard as clay, and if you grasp it too strongly it soon loses its shape, so I shape it gently with both hands. Afterwards, we put the paste on the chopping board, and flatten it to a thickness of around 5mm (photo 2). 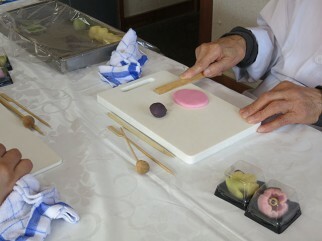 Then, we shape the azuki bean paste into a ball too, and wrap it in the pink bean paste. Next, we stick the white bean paste onto one side only, and stretch it thinly with our fingers. 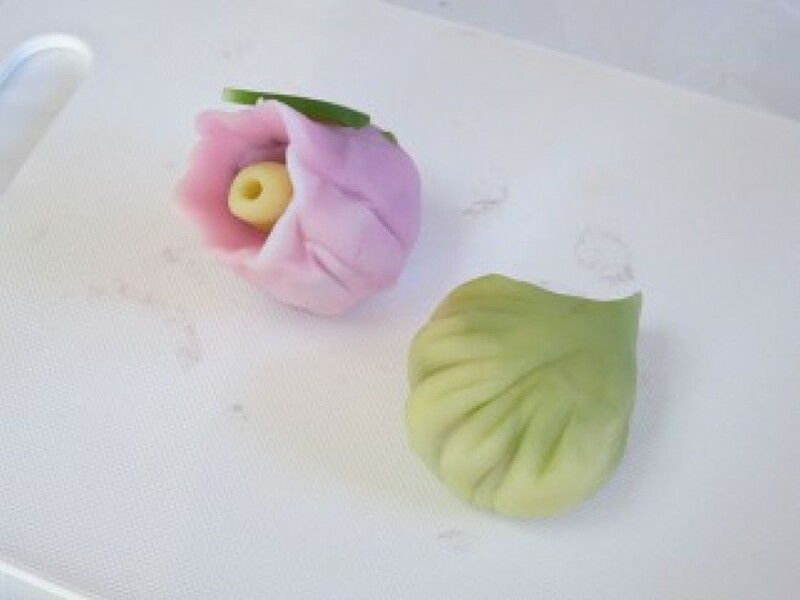 This technique is called bokashi (meaning “gradation”), and is used to make flower petals appear more lifelike. Then, we make the petal tips by slightly pressing the white part, using a triangular spatula to craft the shape. Finally, after attaching some yellow-toned bean paste to look like pollen and green bean paste as leaves, the nerikiri is complete. Trying to make such delicate wagashi sounds difficult, but the expert Mr. Murofushi kindly makes them right in front of us, so just watching and imitating him is enough. Don’t worry. Having said that, just copying the way he makes wagashi doesn’t necessarily yield the same results. However I look at it, the thing in my hands looks completely different from Mr. Murofushi’s creation… Well of course, an expert is an expert, after all. By trying out the process for myself, I really understand what an amazing skill these artisans have, and I’m sure I’ll look at wagashi in a different way from now on. Next, we start to make the Japanese maple nerikiri. No matter how hard I tried to copy the master’s skillful handiwork, mine just looks like a baseball glove… (photo 3). But, all through the process, Mr. Murofushi was kind to praise to me, saying, “you’re doing a good job” with a smile, so I undertook the experience with gratitude. Wow, making wagashi has a great amount of depth. The original works of art (?) that participants create are put in a pack for us to take home. Green tea and “Mikan Monaka” sweets were brought out in time for the end of the wagashi-making (photo 4). Mr. Murofushi told me the secret story behind this sweet’s conception. 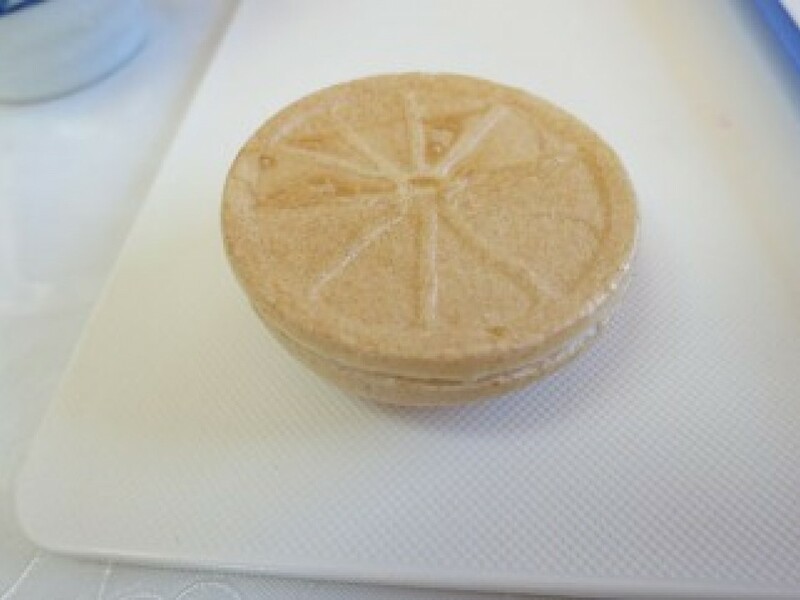 “I wanted to make a sweet that felt typical of Yugawara, so I’m glad I thought of using mikan (tangerines). But making the sourness of the tangerines fit with the white bean paste was a repeated process of trial and error”. Eventually, they made the tangerines into marmalade and put it inside. Of course, details like the allocation of the marmalade are a trade secret. The appearance of the sweets is cute, like a tangerine cut into slices. On tasting, the invigorating scent of tangerines and the refined flavor of the white bean paste mix beautifully for a delicious result. 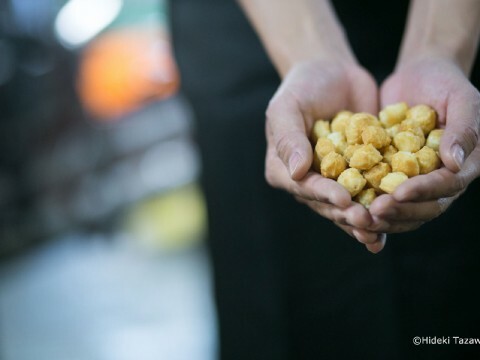 The fragrance, in particular, is beyond words; the crispy texture is also refreshing. “We brought these out from the factory because we wanted you all to try the freshly-made ones”, says Tomokazu Kosuge, the second-generation company president. I am told that the crispy shells of the sweets are even more enjoyable to taste when freshly-baked. Ah, I’m so glad I came! 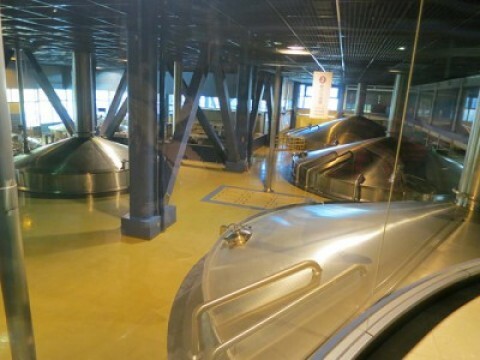 You can take a look at the factory through the glass. 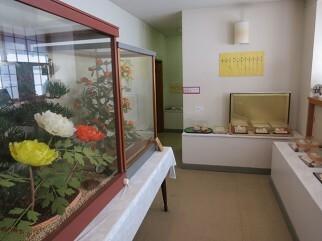 There is a gallery of confectionary artworks on the second floor. They look just like sculptures. 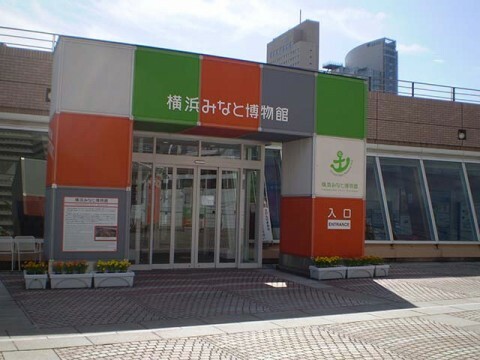 At Mirakuan, both the factory and a gallery can be viewed by visitors, so I lost no time in going to see them. 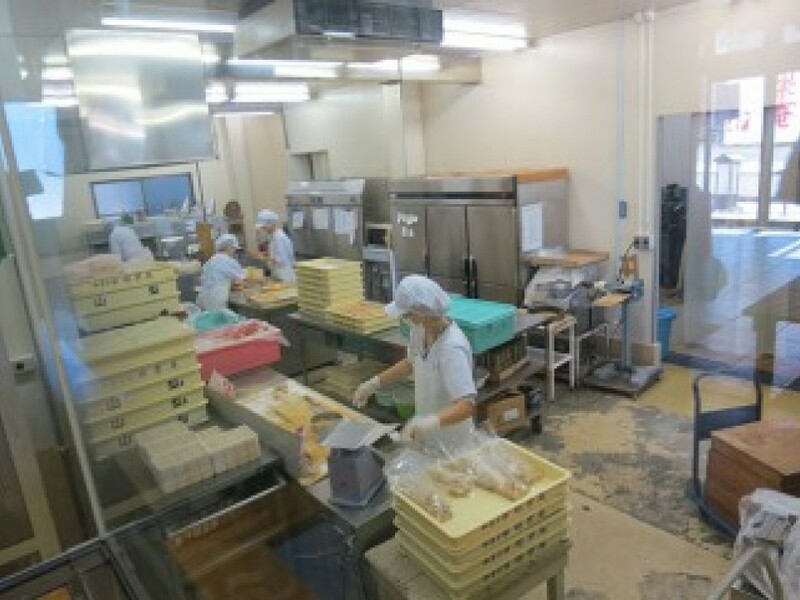 The factory is at the back of the first floor, and the wagashi manufacturing process can be observed through glass (photo 5). The shop’s products, as well as being on sale here, can also be purchased at special fairs at department stores and online. The gallery is on the second floor. It was overflowing with confectionary artworks that look like sculptures. 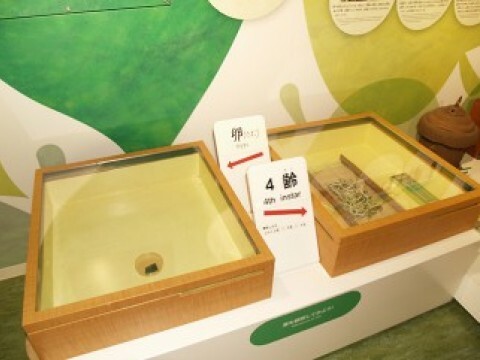 When I heard that all this sweet-art is edible, as it is made with candy and bean paste, I found myself gazing at it once more with a renewed interest… Additionally, there is an exhibition of seasonal sweets. There were sweets that I rarely nowadays, and some very interesting items. Even if you do not take part in the hands-on wagashi making, you can buy sweets or visit the factory. 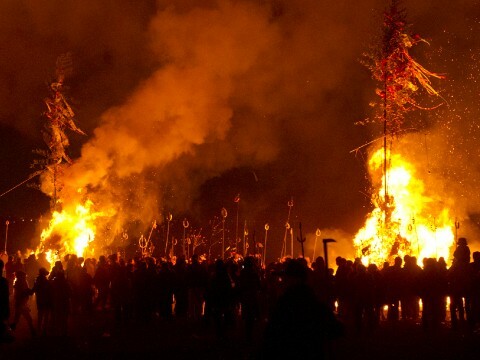 But, if you do take part, you might experience everything in a different way.